As Christmas approaches this weekend, it is soon time to bid the year farewell! I came back to running in 2016 for health reasons but 2017 was the year that I came back to racing. It has been a challenging, rewarding and yet fun year for me as far as my running goes. With that said, I thought it would be a good idea to summarize my year and the races I ran. Hey if nothing else, I know I can always come back to this post and read about my year if I ever get bored or want to compare future races! Sure one can just go to this link and see my results, but that doesn’t tell you any of the highs and lows of those races! You can stop reading here if you don’t want to read recaps of my 2017 races, but if your intrigued, settle in for a bit of a long read. They were almost all New York Road Runners races but that’s ok because it got me qualified for the 2018 NYC Marathon! 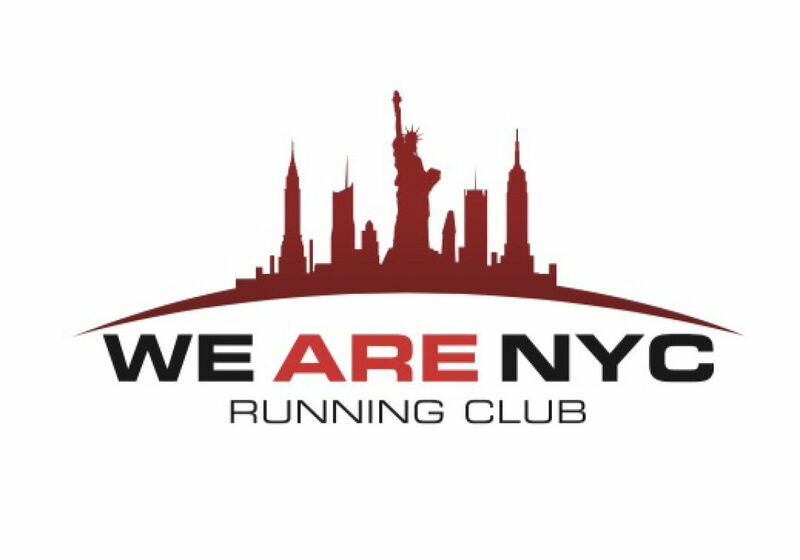 No matter what happens for the remainder of my running life, the United NYC Half will be a special one for me and one that I will likely want to run again and again. After being turned down for the NYC Marathon for 4 years straight, I was accepted into the United NYC Half on my first try! While the race was run in March with snow on the ground, I didn’t care. I was excited to run my first half marathon and this one didn’t disappoint. The first two miles were frigid but as we made our way thru Central Park, by mile three I felt wonderful. As we left the park to start mile 8 on seventh avenue, I will never forget the energy of the crowd and how it propelled me to my fastest mile of the race. I belted out a 7:46 mile in the middle of the race! From there the crowds on the West Side highway kept me smiling as I enjoyed my first half marathon thoroughly. I finished that day in 1:54 (8:44 pace) and completed my first half marathon. This race would set the stage for several more races in the year! Ok, June was a busy month! When I ran the NYC Half in March, I ran it just because I got picked in the lottery. When I picked up my bib however in March, I learned about the “9 +1 program” that NYRR had that would eventually qualify me for the NYC Marathon. I didn’t really pay attention to the program until April however. By then, April and May NYRR races were mostly filled which meant I couldn’t start accumulating races til June. Before I could run my next NYRR race, I would run the JP Morgan Corporate Challenge with my company. I’ve run this race many times over the years but usually casually with my co-workers. In 2016 I ran pretty decent but I knew I could go faster because the course was way too congested! In 2017 I decided I would line up much closer to the start than I did in 2016. What a difference that made. The course is still congested but no where near what I dealt with in 2016. I ran a 26:45 that day (7:38 pace). Never ran that course that fast or even close to it. Had me feeling positive about what was coming later that weekend – the NYRR Retro 5 Miler. The NYRR Retro 5 miler is more of a laugh than a race! So many people were dressed up in retro outfits from the 70’s and 80’s! It was like a time warp back to those years. I thought it was fantastic lol . The course was the 5 mile course in Central Park that included Harlem Hill. My ankle was a bit sore still from the JP Morgan Corporate Challenge that I had run a few days before so I wasn’t as fast as I wanted to be. Still 40:55 (8:11 pace) was ok with me! My time and the several crazy outfits I saw that day made the race very worthwhile for me! My Next race in June was the Queens 10k. This race was part of the NYRR 5 borough series, just like the United NYC Half was. I was particularly looking forward to this race because it was situated in Flushing Meadow Park, a park where I used to do a lot of training runs when I ran track in High School. That and the fact that the course ran in front of Citi Field, home of my beloved Mets, had me excited for this race! Someone however should have reminded me the night before about how excited I was for the race. I ended up partying the night away the night before with some friends. Way too many beers! I got to the starting line with a bottle of gatorade, a hangover and a lot of beer burps. In my starting corral I accidently let a small burp out and the lady next to me said to me smiling “someone had a good night last night”. I just shook my head and proceeded to pound the pavement for the next 6.2 miles with my head throbbing for most of it. By mile 4 the hangover was gone, but the lack of sleep kicked in. I managed to run 51:16 (8:15 pace)but I know I could have done better. I want this race back, which will likely be the reason I run it again in 2018! My final race in June was the Achilles Hope and Possibility 4 miler in Central Park. I enjoyed this race because of all the inspiring athletes that run this race. Blind people, people without limbs, people with several disabilities, all of them running and completing 4 miles. Truly awesome. My wife is asthmatic and while that isn’t a disability, it can create difficulties when trying to run. She ran this race and conquered it. For me inspiration was all around me. I remember pushing hard because of that. It resulted in my fastest race pace of the year up until that point, 30:34 (7:39 pace). The race was a feel good race and I commend NYRR for the job that they do with this race year in and year out. I had to take a couple of weeks off after a busy June but I found myself back in Central Park on a Thursday night for a 5k. I hadn’t run the 5k distance since the JP Morgan Corporate Challenge a few years back when it was a 5k course. Since I started running frequently, I was eager to see how I would do. I recall the first mile of the race and how I thought the pace was super fast. Well I was right. My GPS told me I ran the first mile in 6:52. I was baffled at how that could be. I went back and looked at the course and it was because the first mile was pretty much all down hill. It all made sense now lol . In Central Park, whatever goes down, has to come back up right? Well it did! I would inevitably slow down and finish my 5k at 22:39 (7:18 pace). Not upset with that one bit! I think my previous 5k time was in the high 24 minute range. By the end of July, I was really starting to like these NYRR runs! Well after not running a 5k in many years, I would do two of them in back to back months! This time I was off to Harlem where I frankly hadn’t been in many years. Since I hadn’t been there in years, I made the mistake of driving there for this race. With the lack of parking in the area, I found myself scrambling for parking. I ended up parking at a meter about 8 blocks away from the start line. Race was at 8:30am. I parked at 8:15am. You could say my race started as soon as I finished putting money in the meter. I got to the start line with 2 minutes to spare before the start. I barely checked my bag in before the start. No bathroom visit. No stretching. And there goes the horn for the start! I remember running the first mile and I was sucking wind. I didn’t get to jog, or stretch and a lot of the first mile was up hill. As we zig zagged thru the streets of Harlem I took in the sites and was excited at how diverse and vibrant the neighborhood was. Before I knew it we were heading back towards the starting line. You know those uphills towards the beginning? Well now they were become some serious downhills! Great crowds on hand for this race had me pumped the whole last mile. Finished the race at 22:41 (7:18 pace). Just two seconds slower than the 5k I ran in Central Park a month ago! Damn it why didn’t I get a good warmup in!! That would have definitely been a PR! Oh well, save it for another day I guess! I cannot say that I honestly trained for the 5th Avenue Mile. Sure I did a few workouts leading up to the the race on the track, but they weren’t really speed workouts. They were more of doing 3 or 4 mile runs on the track with maybe doing a few laps at full tilt. Screw it. Lets go run the mile anyways! After seeing heat after heat go off before mine and seeing the energetic crowds get behind the runners, I was anxious to start my race. As opposed to my last race in Harlem, I got a good warm up in here. The bag check is near the end of the race. Which means you have to walk or jog a mile to the start lol. Ok so warmup was done right this time! For this race, it was the closest I have ever been to the actual starting line. I think there were only two people in front of me at the starting line. The horn went off and I tried not to get trampled! The first quarter mile was swift – definitely not what I am used to. I think the clock said 1:15 for the first quarter mile. Umm that’s 5 minute mile pace if you aren’t keeping track! In the 2nd quarter mile I slowed down particularly because it was uphill. I believe my half mile split was 3:00. As we got to the top of the hill, I could see the finish line. In all of the races I had run so far this year, whenever I saw the finish line, I would start my kick. This time however, it didn’t register in my head that I was still a half mile away from the finish line! Needless to say I hung onto dear life to finish that race as I was gassed. That last quarter mile hurt man! Mile time – 6:12. Hey, I haven’t run a mile all out since High School. I’ll take it! This was a very fun race and one that I would totally do again! The Bronx 10 mile was a race that I was preparing for. Aside from the Fifth Avenue mile, I had been building up my miles gradually knowing that I had the Staten Island Half Marathon coming up in a few weeks. This race was a perfect training run in my prep for the SI Half. I remember the forecast for this day being very hot. The race however was early enough that I figure we would escape the heat. The course was an “out and back”. Pretty much 5 miles up the Grand Concourse and 5 miles back down. Remember that heat that I thought we would escape? It showed up for the 2nd half of the race! For the first time all year, I fell the effects of the heat. I stopped a lot for water during this race. I want to say 6 or 7 times. Some times it was just to dump the water over my head. I have to say it worked because I found another gear in the last three miles. Each of the last three miles were under 8:00 with the fastest one being the last mile at 7:36. Final time 1:21 (8:08 pace). I gotta say, the crowds were great in the Bronx! Even though I hate the Yankees, I guess it was kind of cool crossing the finish line literally right in front of the stadium. The Bronx 10 mile was my favorite medal of the year. Something about the red and black ribbon – nothing to do with the Yankees! The year started with the United NYC Half in March. Only fitting it ends with another half marathon. This time in Staten Island. The only thing I know about Staten Island is where the Staten Island Yankees play. Lucky for me, this is pretty much where the race started and finished! The only thing I wanted out of this day was to be faster than my half marathon in March. Starting the race I felt decent. We were pretty much going down hill. Mile one was 7:46. Whoa – slow down Nelly, we got twelve more of these miles! At about mile three, some drizzle started and so did some hills. By mile five the hills had flattened out and we were running along South Beach. That’s when the skies decided to open. I have run in rain before, but never like this. It was a torrential down pour. The type that if you happen to be caught in it, you run for cover and hide anywhere until it slows up. I’m in mile five however of a half marathon – where the hell was I going to hide?!? That rain came down so fast that it was running down my face and I was literally gagging on it. My shoes were soaked and I could feel them getting heavier. At around mile nine, the rain decided to stop. But someone decided to put a huge half mile hill at mile nine. I was depleted after that mile I tell you. I hadn’t struggled that much thru a mile ALL YEAR. I wanted to stop. I felt slow and my GPS agreed with me – mile nine split was a 9:02. What? a 9:02? I don’t think I had run that split in any of my races – not even the March half marathon. I have to admit, when I heard the split for mile nine I kissed a PR for the half marathon goodbye. I took one more GU gel in mile 10 and hoped for the best. Mile ten 8:27. Mile eleven 8:02. Ok – here we go. Remember how I said the beginning was down hill? Yup – we are going to finish this miserable day going up hill. After mile eleven I had started to look at the cumulative clock and started calculating if a PR was possible. It still was, but I didn’t factor in a mile long up hill. That last mile was tough. It hurt. Further, because of all the water in my shoes, my insole had started shifting. I knew it was all out of place in my shoe, I could feel it. But the end of the race finally came, and it read a happy time at the end –1:51 (8:31 pace). When I finished I didn’t know how it was possible. Not with all the hills and not with all the rain. I guess the work from March thru October simply paid off. Crossing that finish line also completed my 9th NYRR race. The NYC Marathon was finally going to be mine in 2018! What a year is all I will say. Running is amazing for just these reasons. In this lengthy post, I had no teammate to run with me. No one to toss a ball to or run for me. This was all me. That’s one of the things I love about running, no one can do this but you! I’ve said it before and I’ll say it again – can’t wait for 2018! !